hey hey ! tell me who are your favorite person in the world of cinema ! for me it's : johnny depp, Ryan golsin, rachel mcadams, ! 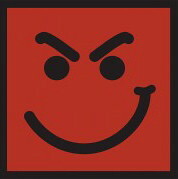 ho yeah I forgot to say : you can't choose Jon bon jovi lol! When i was younger Tom Cruise in Top Gun! !In fact i don't go to the movies i prefer the music.And i've never seen Jon actor!! In Top Gun there was Val Kilmer too...... :lol! :and in Footlose Kevin Bacon....do you know that Jon has been chosen instead of Kevin but at this time music was more imprtant for him. Btw, i loved Val Kilmer's look in Top Gun!! Sorry i don't know them....except Johnny Deep...he's hot do you think that it comes froms the first name? Subject: Re: favorite actor & actress ?